We had our very first training on Sept.20 -21, 2013. The participants were drawn from four communities: Kwarakwara, Tamvia, Tamnya and Yambam. Sixty people participated, 25 women and 35 men from various religious backgrounds. The size of the stove not being enough to support large family cooking. Lack of smoke in the kitchen will make room for burgs to eat up the rafters. Smoke is another method of drying crops. The fear that the new stove might not provide enough heat to warm the rooms during cold season. We were able to fully address all of these challenges. Participants expressed their gratitude for the opportunity to attend the training. We remain very thankful to SIFAT and our friends in the States for helping us to make this first training a success! Sixty participants have been equipped to help their communities with a simple technology that will make a lasting impact. Although my wife and I were in a wreck when the driver lost control on a bridge, we are thankful to God for protecting us when the vehicle flipped into the creek. We can never thank you all enough for your prayers, moral and financial supports for our project. 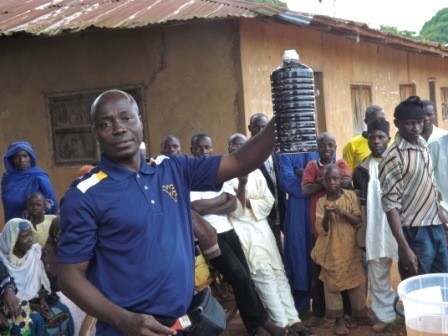 Pastor Ogbatabo demonstrates a water purification technique. 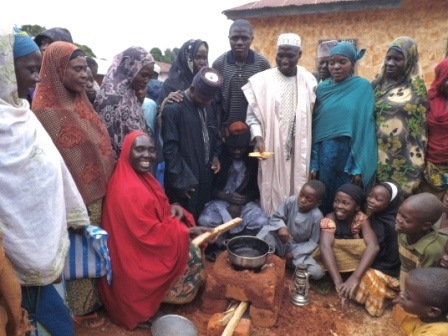 35 men and 25 women from four Nigerian communities attended the September 2013 fuel-efficient cookstove training workshop. 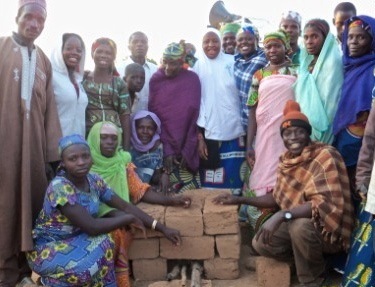 If you would like to learn more about Pastor Ogbatabo’s project, click here. To financially support his ministry in Nigeria, designate your gift to SIFAT as “Nigeria – Pastor Ogbatabo”.